SanDisk has just launched their new range of Flash Cards with a massive 128GB of storage designed for use within top end DSLR cameras. The cards are equipped with a Power Core controller that distributes data across the card more rapidly and efficiently and UDMA-7 interface providing a staggering 100 megabyte per second (MB/sec)2 write speed , allowing for longer continuos burst shooting. Its also allows for video recording for Full HD video, recording at a sustained 20MB/sec write speed. 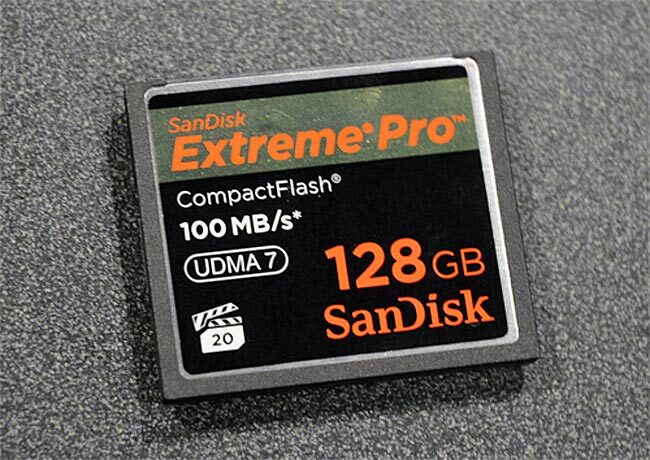 As you can expect these cards dont come cheap and the 128GB SanDisk Extreme Pro CompactFlash card are currently available to pre-order of $1,499.99 and will start shipping later in the first quarter of 2011.